From the Star Wars The Force Awakens collection by Hasbro. Star Wars The Force Awakens The Black Series First Order Snowtrooper 6 Inch Action Figure. From the Star Wars The Force Awakens collection by Hasbro. 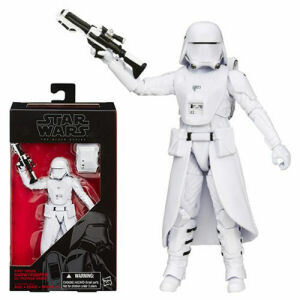 Star Wars The Force Awakens The Black Series First Order Snowtrooper 6 Inch Action Figure. Action figure measure 6 inches tall and comes with charatcter specific accessories.